Floor Gres, a historic brand of the Florim group, is the brand dedicated to design architecture. 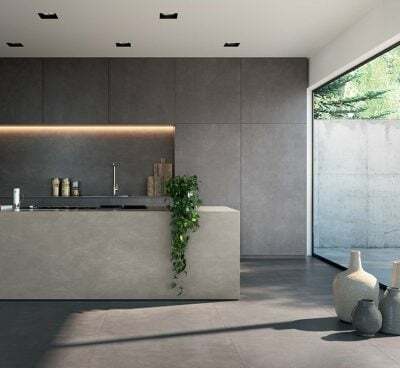 The Floor Gres range of fine porcelain stoneware surfaces is able to meet the various modern design, technical and eco-compatibility needs where the architectural and design sectors combine through a renewed balance between man and nature, between constructed environment and natural environment. Essential and stark atmospheres come alongside expressive suggestions, light and geometric play and natural reinterpretations. Rex in the search for eternal beauty finds the sensual support of the most precious material nature has to offer. Ostentatious luxury or sophisticated use of material for a more informal elegance. Rex interprets the environment emphasizing the search for individual pleasure through beauty. Those who choose Rex want to immerse themselves in glamour and sensuality. They seek luxury and elegance. They want a modern and decisive style. Following an outstanding season in which the brand took the lead in an unprecedented experimentation on the materials and stylistic fronts, Florim is relaunching CEDIT. Having been created with the desire to explore new methods of expression that could characterize the culture of lifestyle, this company made its mark on the 20th-century scenario in a unique adventure, associating itself with the prestigious names of Marco Zanuso, Ettore Sottsass, Enzo Mari, Alessandro Mendini, Sergio Asti, Emilio Scanavino, Mimmo Rotella, Gino Marotta, Achille and Pier Giacomo Castiglioni and the Gruppo Dam, among others. Casa dolce casa - Casamood is the Florim brand where quality and creativity find a perfect balance. 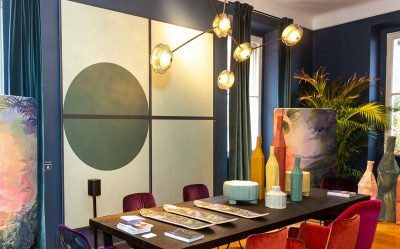 The project is expressed through constant dialog between the search for color and naturally inspired textural contaminations where the atmospheres of the architectural design match the interior decoration to constitute true sensory experiences. The careful study of each part blends with an eclectic personal expression in a play on the contrasts between tradition and modernism. The spaces are designed for the pleasure of modern living, projected toward the simplicity of relaxing atmospheres. Versatile, dynamic, fresh, Cerim products free your creativity to give shape to your spaces with the 'Made in Florim' guarantee. Porcelain stoneware surfaces designed to finish any domestic environment based on your style and your personality. The living area, the kitchen or the bathroom flaunt personality and energy. And that is not all. Higher and higher performance materials, new sizes, new thickness options and different surfaces make Cerim the right answer even for medium and low traffic commercial applications. The best of the kitchen countertop and every one of its complements, finally customized in style and design, without compromise. 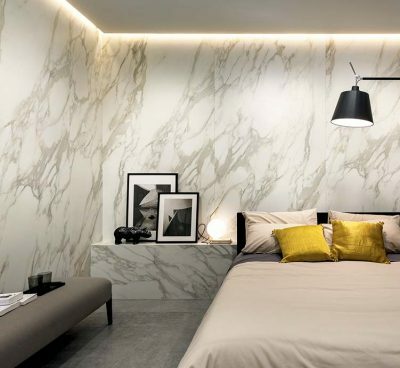 Porcelain stoneware sheets in a unique large size (greater than 160x320 cm) available in three thickness options (6, 12 and 20 mm) and various finishes are at the service of interior decorators to provide creative flexibility and high technical and aesthetic performance. FLORIM stone gives space to maximum aesthetic and chromatic versatility: a selection of sheets with different inspiration to cater to a vast range of styles. The quality of the material, attention to detail and technical performance are guaranteed by fifty years of Florim experience.